New vehicle tax rates are coming into force this year and will affect the way in which vehicle tax is calculated for vehicles that are registered with the DVLA from 1st April 2017. They do not apply if you registered your vehicle before 1st April 2017. The first time you tax a new vehicle, the tax is based on the CO2 emissions. 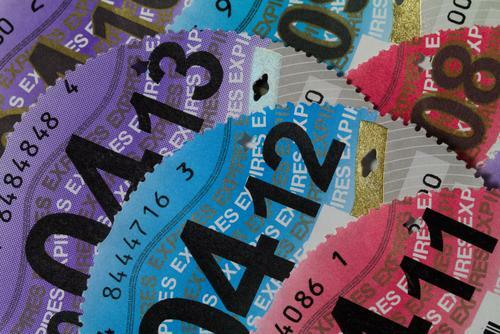 Take a look at https://www.gov.uk/vehicle-tax-rate-tables/vehicles-registered-on-or-after-1-april-2017 to find out how much one might pay. If your vehicle has a list price of over £40,000, you’ll have to pay the usual rate based on CO2 emissions the first time it’s taxed. However, the second time you’ll pay one of the new rates, dependent on the type of vehicle and an extra £310 a year for the next 5 years. It’s important you check the list price with your dealer, so you know how much tax to pay.